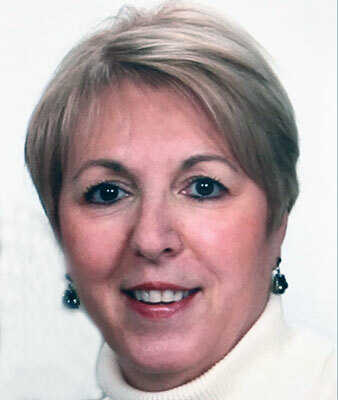 TROY TOWNSHIP  Myra Denise (Ross) Musick, 72, passed away Monday, Dec. 3, 2018, at UH Geauga Medical Center. She was born on Oct. 6, 1946, in Youngstown, daughter of the late Myron and Evelyn (Zalac) Ross. After Myra graduated from Cardinal Mooney High School, she received her bachelors and her masters degree in Education at Youngstown State University and a second masters degree in Computer Science at Kent State. She retired from Newbury High School in 2013, where she was a Business and Computer Science teacher for 17 years. Myra married Steve Musick Oct. 18, 1975. They lived in Kinsman, and Rochester Hills, Mich. before moving to Troy Township in 1993. She was a member of St. Lucy and St. Edward Catholic Church and very active organizing retreats and other activities at the church. She was a member of the teachers association and active with various school clubs. Her hobbies included shopping, more shopping, all kinds of crafts, sewing, knitting, and cooking. She especially loved taking care of her Boys and family. She will be missed by all her family and friends. Myra is survived by her beloved husband, Steve of 43 years; her three sons, Nathan of Middlefield, Seth of Newbury and Justen (Elizabeth) of Thompson; her two grandchildren, Aaron and Emma; and her sister, Sandy Yavorcik of Sun City, Fla. Calling hours will be held from noon to 2 p.m. and 4 to 6 p.m. on Sunday, Dec. 9, 2018, at the Russell-Sly Family Funeral Home, 15670 West High St., Middlefield, Oh 44062. A Memorial Mass will be held 10 a.m. on Monday, Dec. 10, at St. Edward Catholic Church, 16150 Center St., Parkman, OH 44080. Please meet at the church. In lieu of flowers, condolences may be made to St. Edward Catholic Church, PO Box 709, Parkman, OH 44080. Visit www.russellslyfh.com to share memories and condolences.